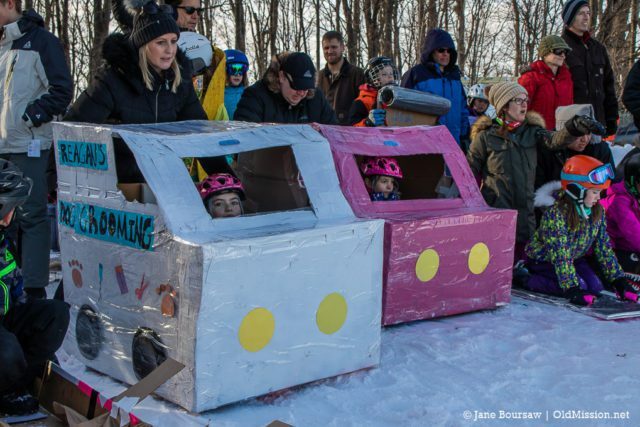 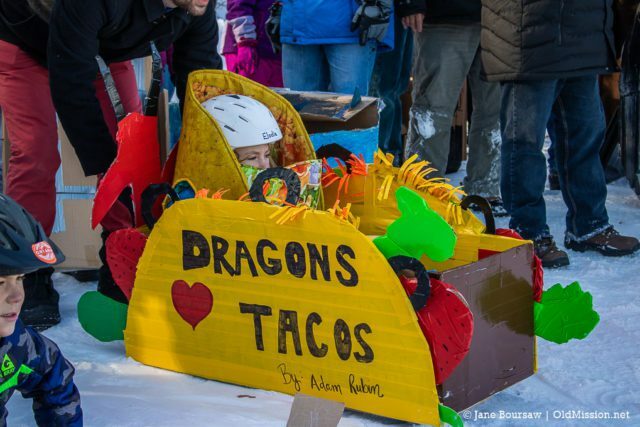 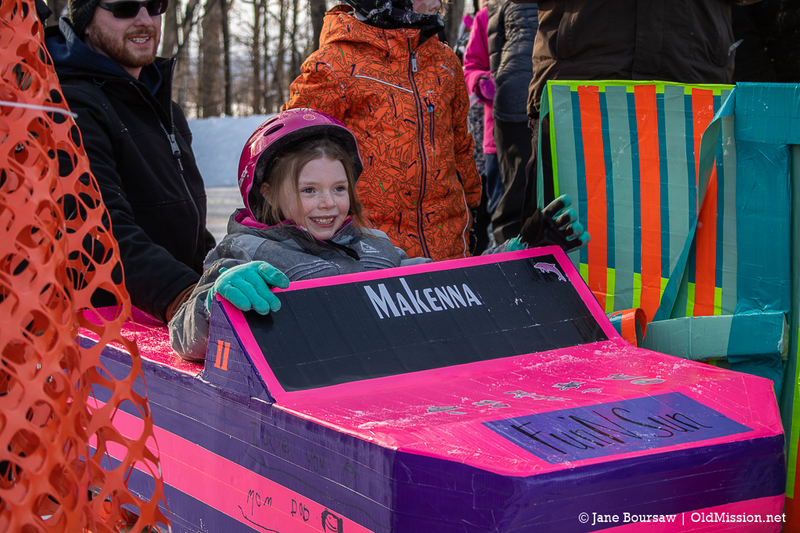 Kids, parents and Old Mission Peninsula residents gathered at the infamous “sledding hill” at Old Mission Peninsula School on Friday, Feb. 1, for the school’s annual cardboard sled race. 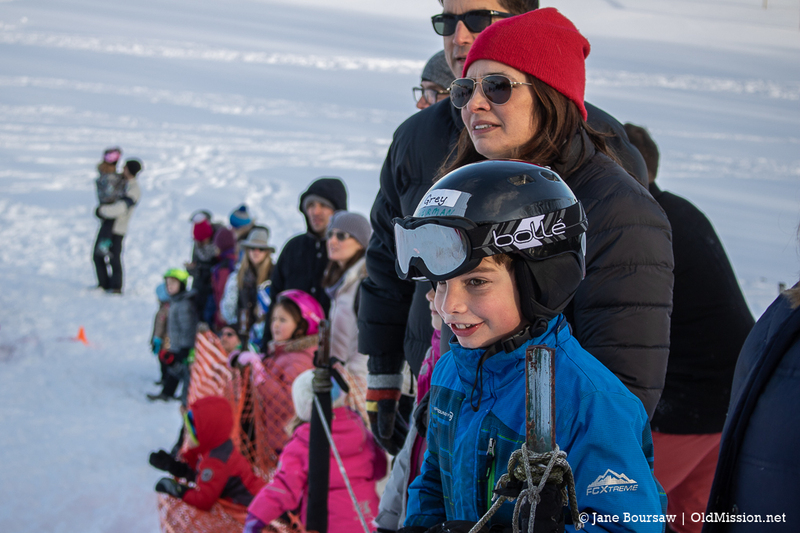 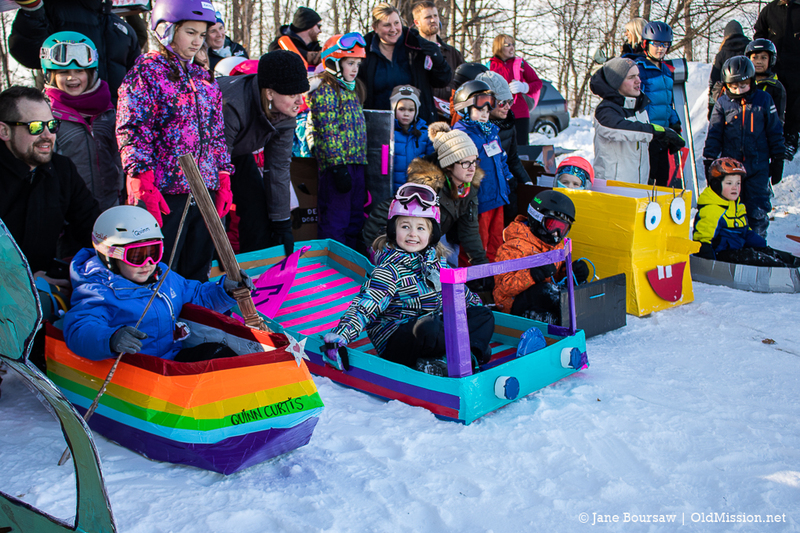 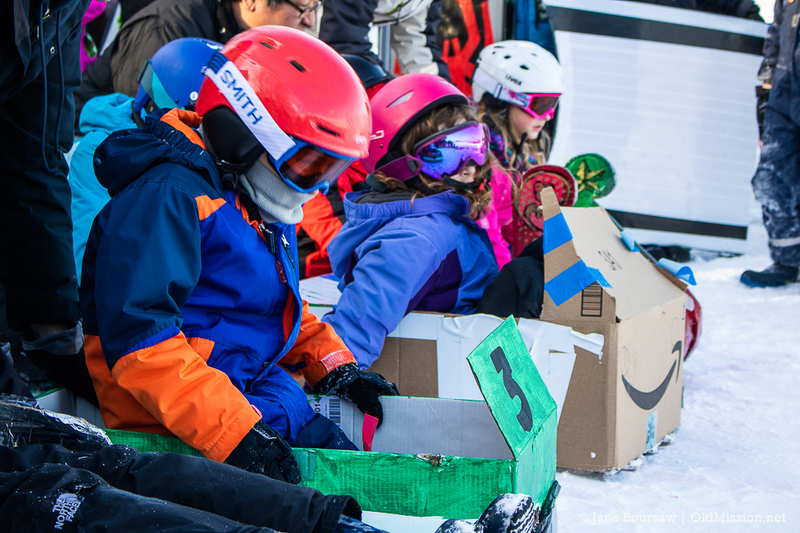 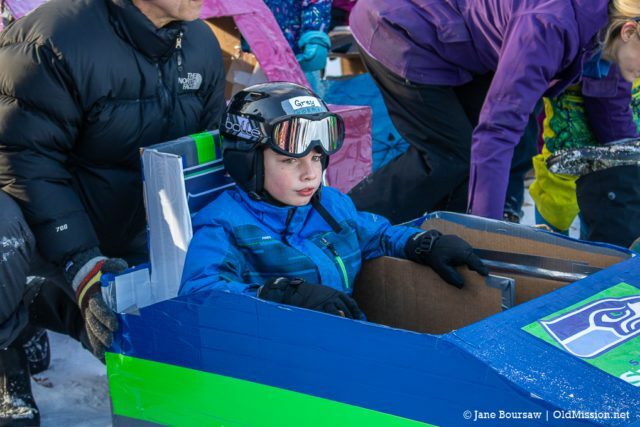 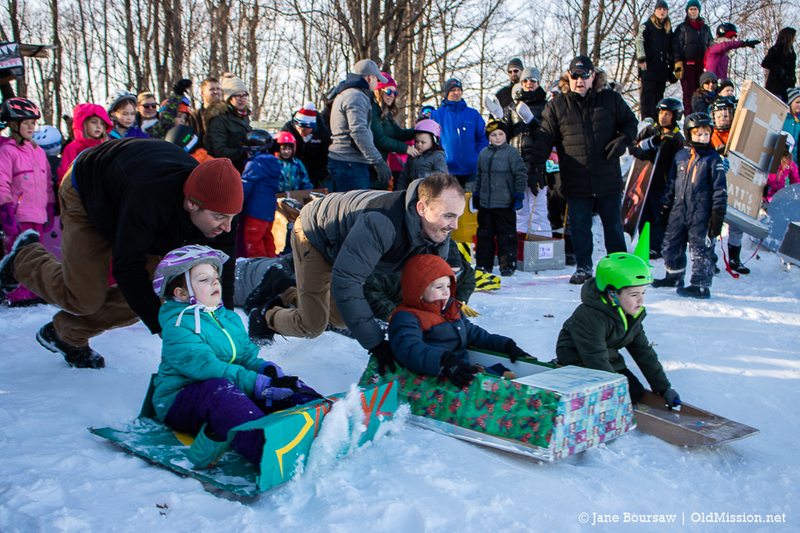 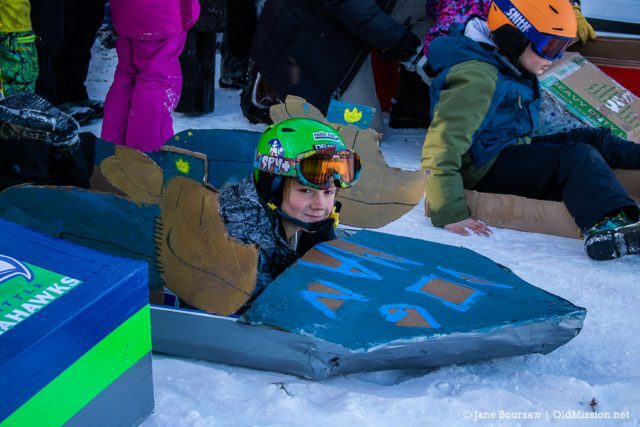 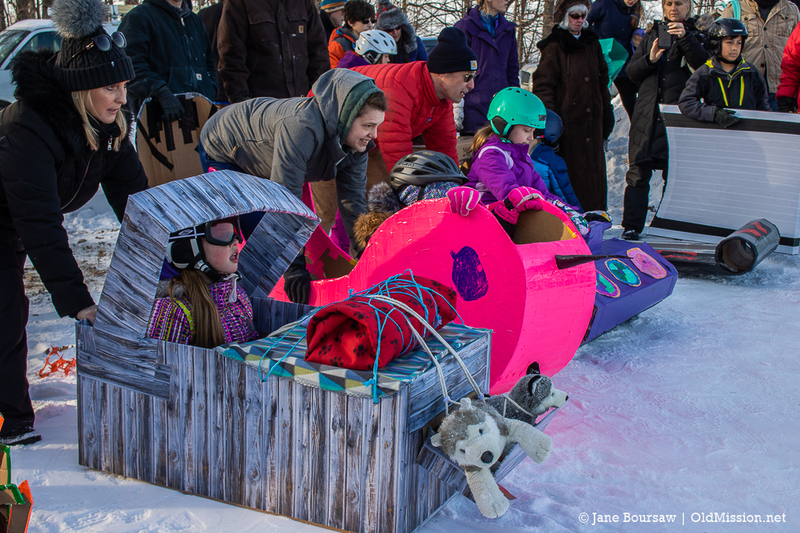 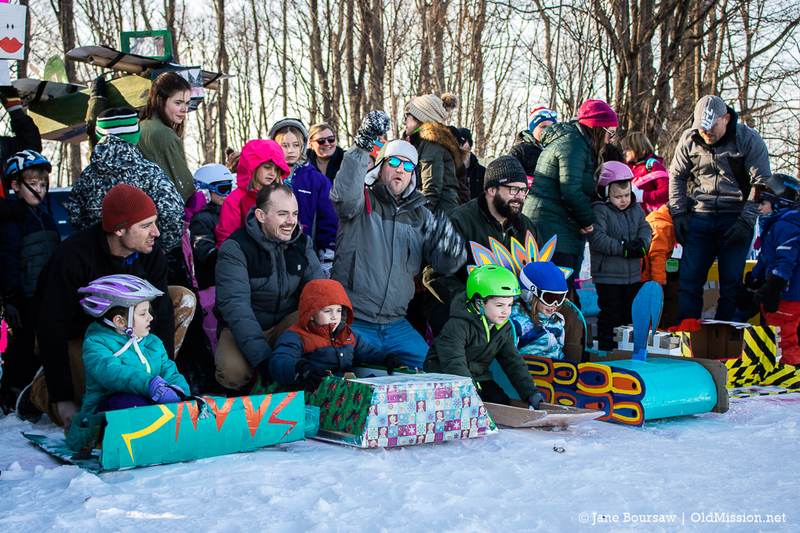 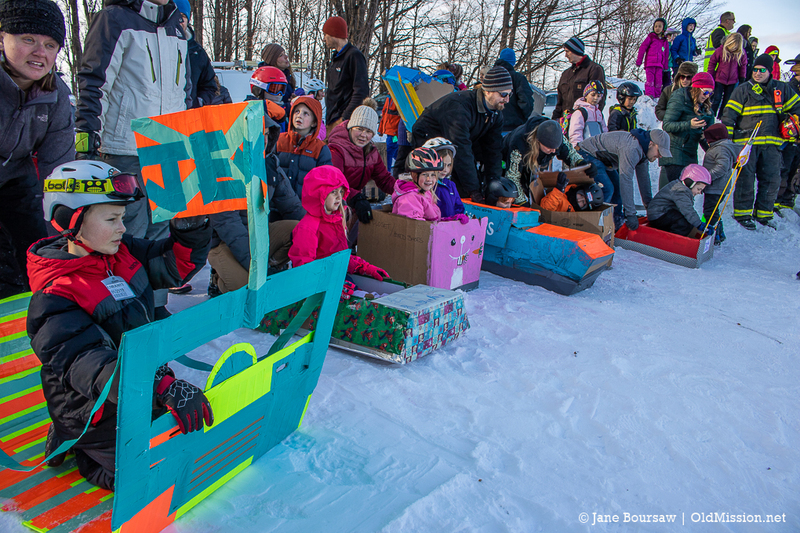 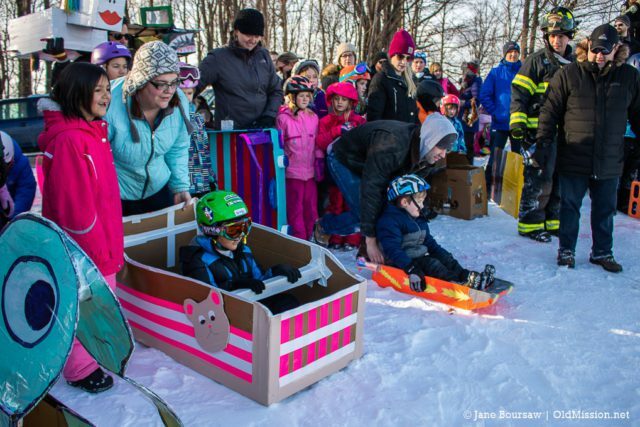 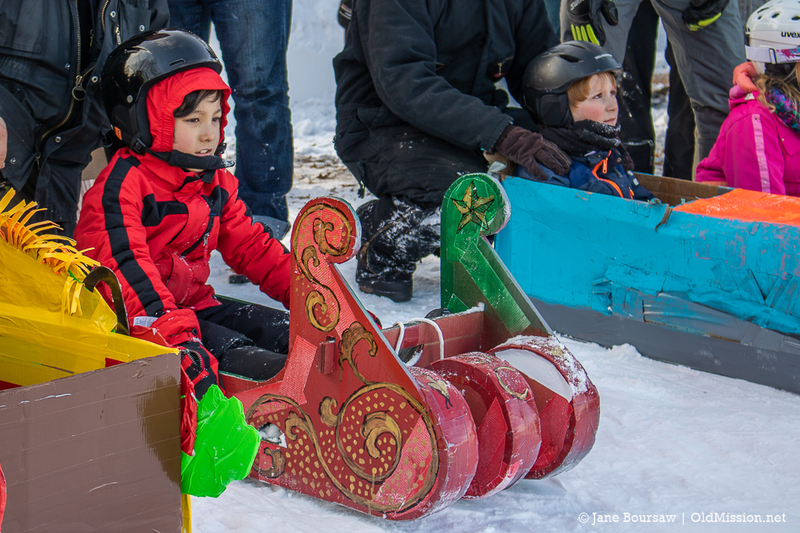 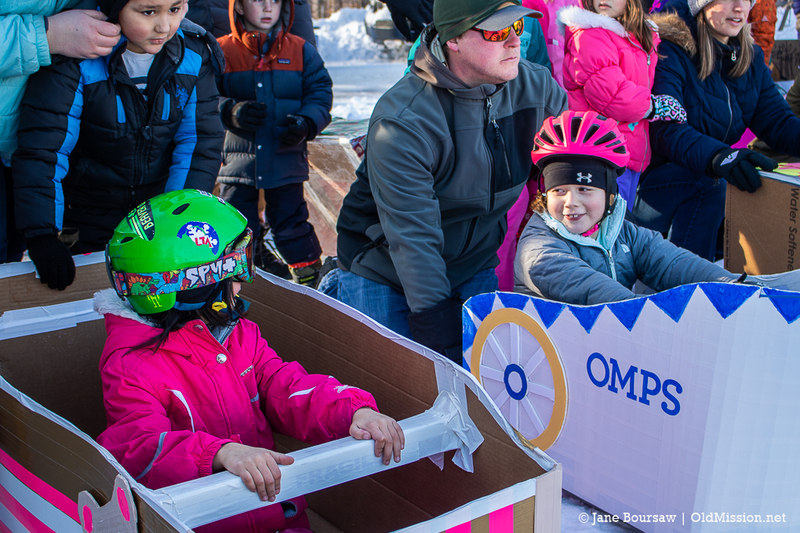 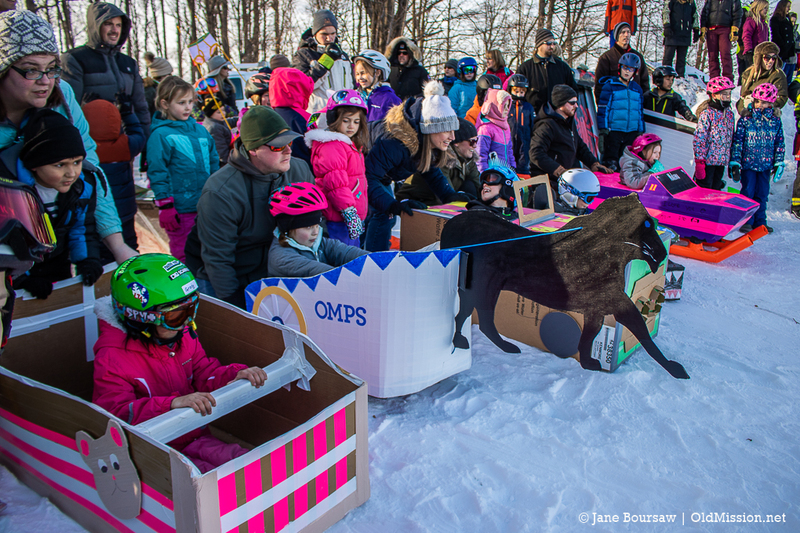 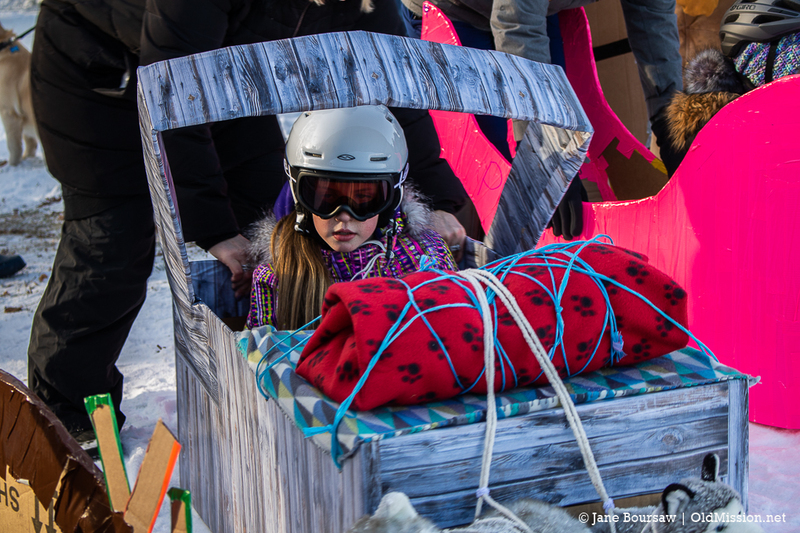 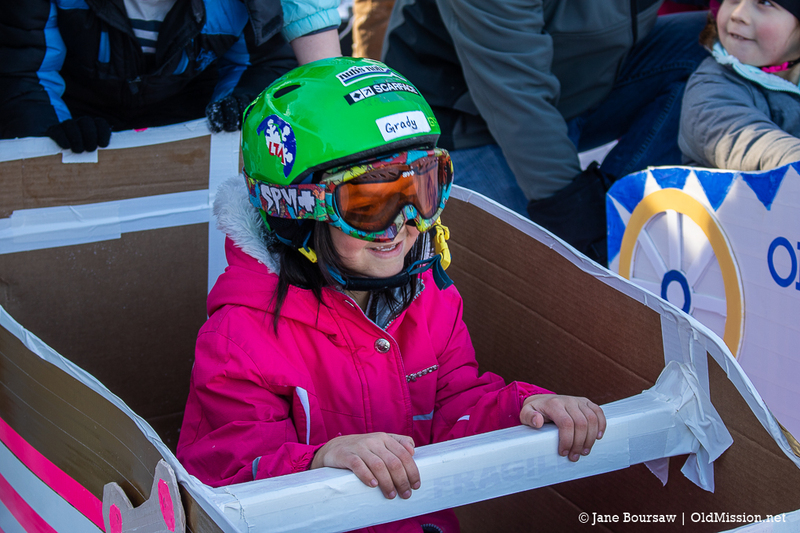 Kids of all ages crafted their creative sleds out of cardboard, duct tape, and whatever else was handy, as folks looked on to see who made it down the hill in record time (or maybe just made it down the hill at all!). 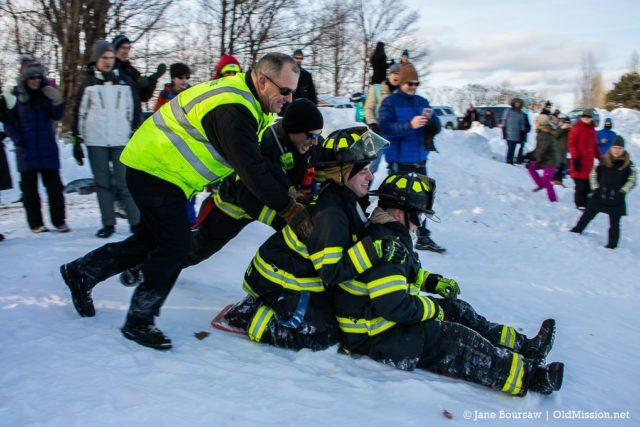 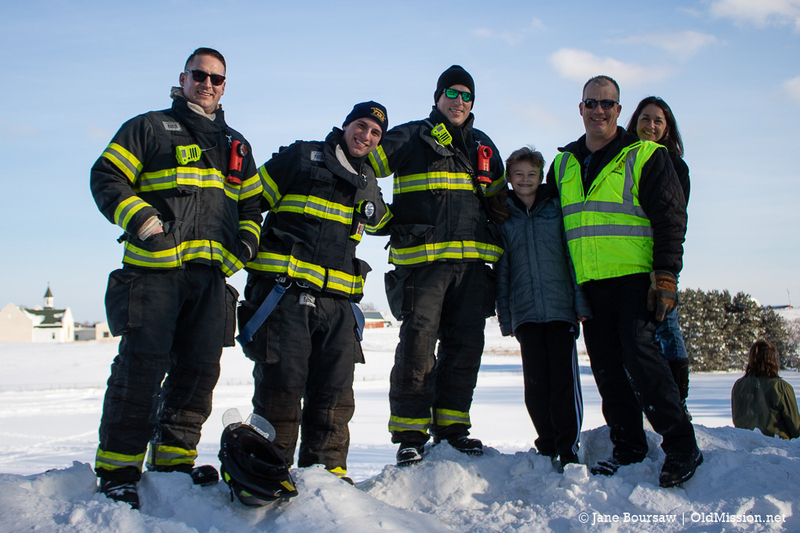 Even the Peninsula Fire Department took a turn on the sledding hill, with Chief Fred Gilstorff giving them a good sendoff. 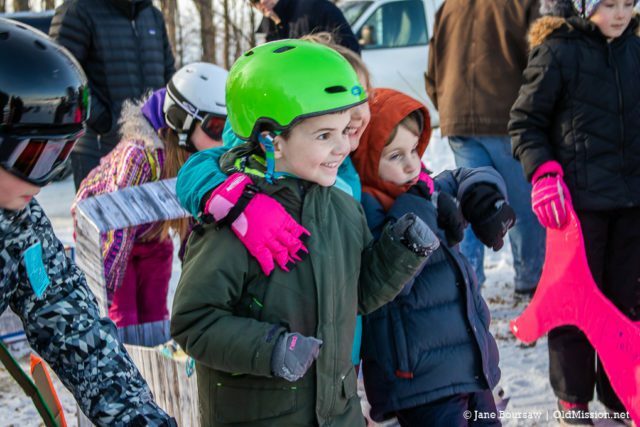 After the race, everyone enjoyed a tasty potluck at the school. Take a look at a few photos below, and head over to Old Mission Photos to see more sled race photos and purchase/download them. Up next, the school will host their 2nd Annual Winter Carnival on Friday, Feb. 22, 5:30 p.m. – 8 p.m. 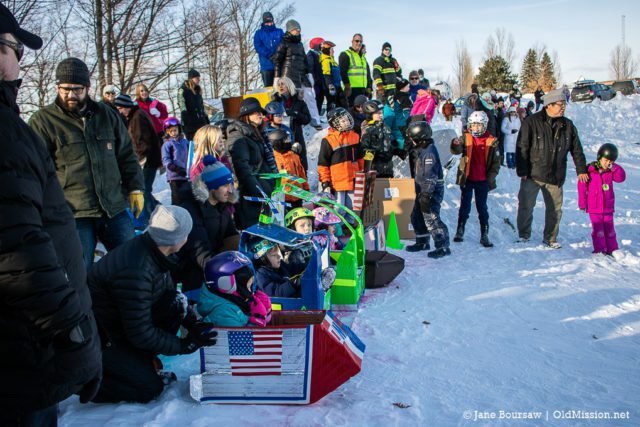 The carnival will feature games, a cake walk, balloon animals, cotton candy, snow cones, food and lots of FUN! If you’d like to help out or know of a community group who needs volunteer hours, sign up here. 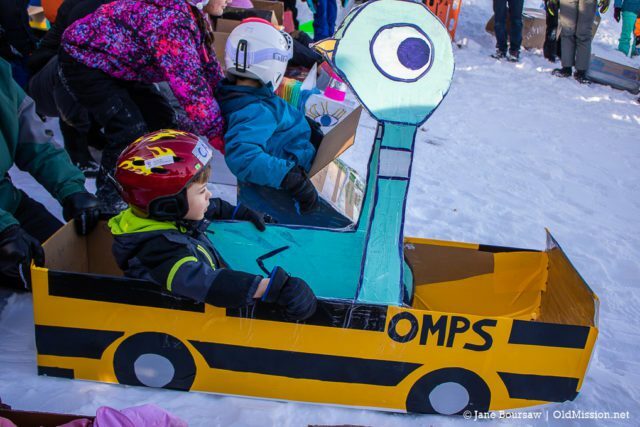 If questions, call the school at (231) 252-0225.